$200 statement credit after $1,000 in purchases within the first 3 months. 6% cash back at US stand-alone supermarkets up to $6,000 per year in purchases (then 1%). Supermarkets details. “US stand-alone supermarkets” means that superstores, convenience stores and warehouse clubs are not considered supermarkets. This means no Super Wal-Mart, no Super Target, no Costco. Examples of merchants that count (and this is not a complete list!) are Safeway, Meijer, Vons, Whole Foods, Winn-Dixie, and online supermarkets such as FreshDirect. Gasoline details. “US stand-alone gas stations” means that superstores, supermarkets, and warehouse clubs that sell gasoline are not considered gas stations. This means no Target, no Costco, no Sam’s Club. Examples of merchants that count (and this is not a complete list!) are Exxon, Mobil, Hess, Shell, Gulf, Murphy USA, Murphy Express. Annual fee. The card has a $95 annual fee, so you’ll want to utilize that 6% cash back on groceries to maximize your value. If you spend the max cap of $500 a month at supermarkets, at 6% back that would net you $360 cash back in a year vs. $60 at 1% cash back. Note that simply spending $31 per week at supermarkets at 6% cash back will result in over $95 Reward Dollars per year to cover the annual fee. If you don’t like the idea of paying an annual fee, the Blue Cash Everyday Card from American Express offers 3% at U.S. supermarkets on up to $6,000 per year in purchases with no annual fee. It currently offers a $150 statement credit after you spend $1,000 in purchases on your new Card within the first 3 months. You can also learn more about this card and apply online at CardRatings.com. Cash back is officially given in the form of Reward Dollars that can be redeemed as a statement credit, gift cards, and merchandise. Statement credit are as good as cash, so I would just stick with that. Bottom line. The Blue Cash Preferred Card from American Express has the key feature of 6% cash back at US supermarkets (on up to $6,000 per year in purchases, then 1%) along with 3% cash back at gas stations and select major department stores. I treat this card like one of my 5% cash back cards, except there are no rotating categories or activation to worry about. Supermarket purchases go straight on this card all year long. Then in December, I use up the rest of the $6,000 annual spending limit on gift cards for holiday presents. 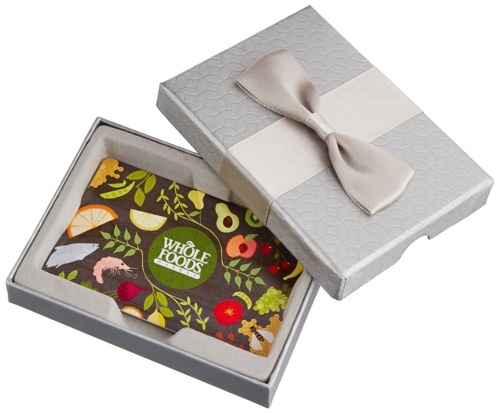 Last-Minute Gifts: Amazon Gift Card Discounts including Starbucks, Whole Foods, Boston Market, Hotels.com, Free Holiday Tins, Etc. Look for Amazon to offer up lots of discounted gift cards and/or bonus stuff with gift cards for procrastinators, most guaranteed to arrive by Christmas. Click, click, done. Some of these deals are good enough for self-gifting. Up to 20% off Various Retailer Gift Cards. These go in and out of stock and the retailers vary. They had Whole Foods but that sold out quickly (may go in and out, waitlist was available for me). Right now I see Boston Market, Coldstone, Hotels.com, and Famous Footwear. 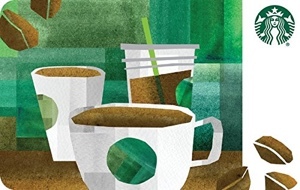 Get $5 Amazon promo credit if you buy $50 in Starbucks gift cards. Applies to digital gift cards only. Use promo code COFFEE. You should see details under “Special offers and product promotions”. 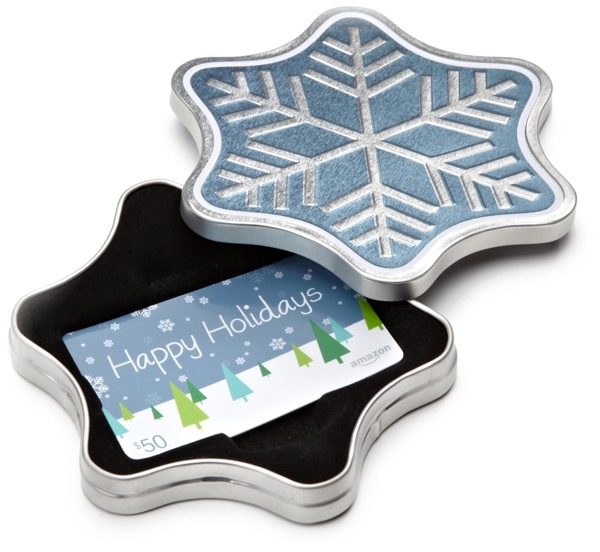 Free Snowflake Gift Tin with Amazon Gift Card. Make your gift card stand out and feel more substantial with a free tin. Also available in Snowman tin, Santa tin, Holiday Pop-Up box, and red ornament tin. 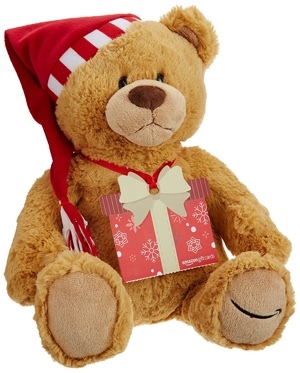 Free Limited Edition Gund Teddy Bear with Amazon Gift Card. Posted about this earlier, looks like the minimum is still $100 for now. I’ll keep updating this post as I’m sure Amazon will roll out some more deals later. Thinking about moving your cash to a different bank account with a higher interest rate? It’s been a while, but the short-term rates on online savings accounts are going up. Don’t get paid nothing by your megabank. Use this handy calculator to find out how much more money you could earn by switching, which you then can weigh against the time and effort required. 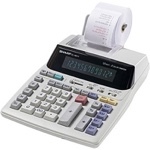 This calculator is based on a rate-chasing breakeven time formula developed previously which takes into account the “days of lost interest”, or the time in between transfers where the money is not earning interest in either account. Although you will get a very similar answer either way (especially for low interest rates), note that it asks for APR, not APY. I also made a APY to APR calculator if you only have APY and want to be exact. Usually, there can be between 0-3 days of lost interest when going from one bank to another. This depends on the policies of either bank and also which bank initiates the transfer. This value can significantly affect the break-even time. The 6-month value (182 days) isn’t simply 6 times the 1-month value (30 days), as the calculator takes into account the time needed first to “break-even”. Another factor to consider is how likely the current rate difference will persist. Interest rates on savings accounts can change at any time, whereas certificates offer a fixed rate over the guaranteed period. Gyft just sent me an e-mail that you can get $5 off a $50 Lowe’s gift card with promo code holiDIY, good for existing customers. Offer ends 12/25/17 at 11:59pm ET or while supplies last. The terms say that the promo code can be redeemed 5 times per household/account while supplies last. So technically this could be $25 off $250 in Lowe’s gift cards. You could stack this promo with this 11% off Lowe’s mail-in rebate (may need to scroll down to 2nd page). This rebate offer is only valid at specific Lowe’s locations (scroll down to last page). Get $5 off a $40 Chef’d Gift Card with promo code CHEFHAT. Offer ends 12/31/17 at 11:59pm ET or while supplies last. Promo code can be redeemed 2 times per household/account while supplies last. Buy a $25 Domino’s Gift Card and get an extra $5 card with promo code PIECEFUL. Offer ends 12/31/17 at 11:59pm ET or while supplies last. Promo code can be redeemed 2 times per household/account while supplies last. The Vanguard Blog has an article Is price everything for ETFs? that reminds us that while low costs may be the most important factor in ETF selection, it is not the only factor. When there are multiple ETFs covering similar asset classes, the DIY investor should dig a bit deeper to get the complete picture. For example, here is a comparison chart of the Vanguard Emerging Markets ETF (VWO), iShares Core MSCI Emerging Markets ETF (IEMG), and the Schwab Emerging Markets Equity ETF (SCHE). If you compare only with expense ratio, they are all pretty much the same with Schwab being the cheapest by a thin margin. What’s actually inside? Underneath the ETF wrapper, you’ll see that VWO holds a larger number of companies and the average market cap is smaller at $15 billion. This means that Vanguard’s ETF holds many more of the smaller companies, if that additional diversification interests you. iShares still holds South Korean stocks, whereas Vanguard and Schwab has South Korea as a developed market. Trade commissions. Transaction costs affect your personal return. You can trade Vanguard ETFs for free with an account direct at Vanguard.com. You can trade Schwab ETFs for free with an account direct at Schwab.com. iShares doesn’t have their own self-directed brokerage arm, but you can trade many iShares ETFs for free at Fidelity.com. You could also go through a broker that offers free trades on everything like Robinhood (no minimum) or Merrill Edge ($50,000+ in assets). Average bid/ask spread. In addition to commissions, there is also a buy/sell gap where you can lose money. 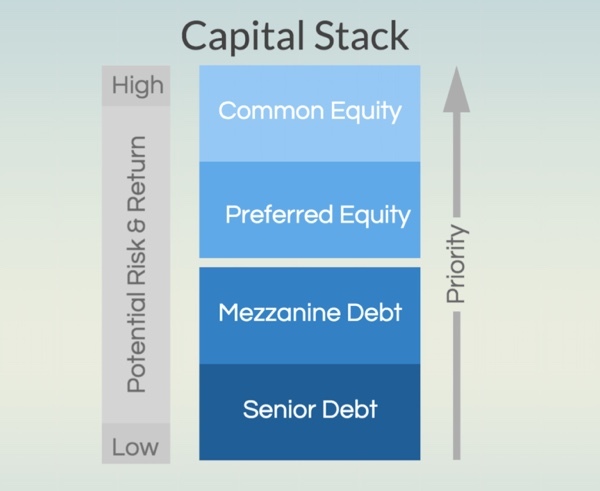 This is less important for gradual buy-and-hold investors, but you still want this gap to be as small as possible. The article doesn’t share this information, but you can look it up at sites like ETF.com, where the respective 45-day historical bid/ask spreads were VWO (0.02%), IEMG (0.02%), and SCHE (0.04%). Schwab has the lowest assets under management and lowest daily volume, making their bid/ask spread wider by a thin margin. Earn 5 points per $1 spent on eligible purchases for every participating hotel stay, Wyndham Vacation Rental North America properties, and on-property spend and maintenance fees at Wyndham timeshare properties. Earn 1 point per $1 spent on purchases everywhere else, (excluding Wyndham timeshare downpayments). Automatic upgrade to Wyndham Rewards Platinum status (early check-in, 3,000 annual points bonus, Avis/Budget rental car upgrades). In 2015, Wyndham Rewards changed to a simple, flat redemption schedule. A “Go Free” award is 15,000 points for a free night (per bedroom) at any all particpating properties under the Wyndham umbrella. This includes over 7,000 hotels worldwide – from Days Inn motels to Wyndham Grand hotels. Award covers room rate and taxes. This includes rooms at their top-tier hotels and all-inclusive resorts. You simply need to find a “standard” room that is available, as there are no blackout dates. The alternative is their “Go Fast” award (Cash + Points option) which can also be a good value. Wyndham points expiration. Note that their system is different in that your points only have a finite lifespan, even if you maintain the required activity. For example, earning points via this credit card will only reset the 18-month inactivity clock. You should get the exact date in your online account page. Wyndham rewards will expire 48 months after they are first deposited into your account unless your account is canceled sooner due to inactivity. An account is considered inactive if no account activity has taken place over an 18-month period. Bottom line. The sign-up bonus of 45,000 Wyndham Rewards points can be redeemed for 3 free nights at a variety of locations around the US and even worldwide. Your value will depend on your specific redemption. If I can get $200 value out of each night (including taxes), minus the $75 annual fee, the net bonus value is still over $500. I appreciate the flexibility of this program, in terms of the flat redemption rate, no blackout dates, and the large number of hotels available.